With Hollywood in the midst of a biopic bonanza it was only a matter of time before they turned to depicting some element in the lives of the “Hollywood Ten,” the various screenwriters, directors, and other Hollywood personalities declared “hostile witnesses” during the House Un-American Activities Committee. 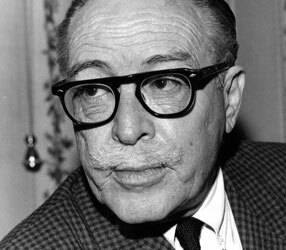 Screenwriter Dalton Trumbo is one of the more well-regarded members of the ten, and his story is due to hit the big screen later this year, and how fortuitous that a new biography comes out at the same time. 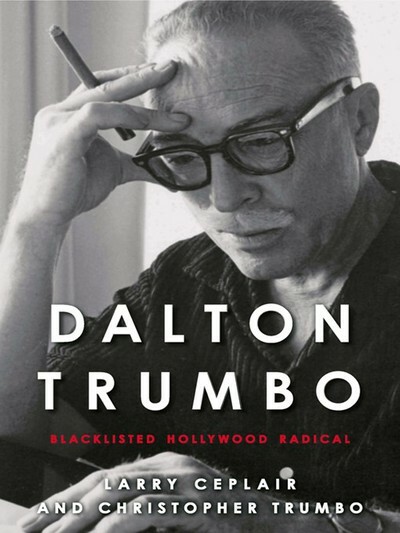 Dalton Trumbo: Blacklisted Hollywood Radical provides nearly everything you’d ever want to know about Trumbo as a person and screenwriter, as well as biting analysis on his time leading up to his arrest and imprisonment by HUAC, and how he shattered it. Even the uninitiated generally know of Trumbo’s association with the Hollywood Ten, imprisonment under contempt charges, and his eventual comeback and past acknowledgement as being the secret writer of several Oscar-winning films including Roman Holiday. Ceplair alongside Trumbo’s son, Christopher, investigate Trumbo, both the screenwriter and the, presumed, political subversive. 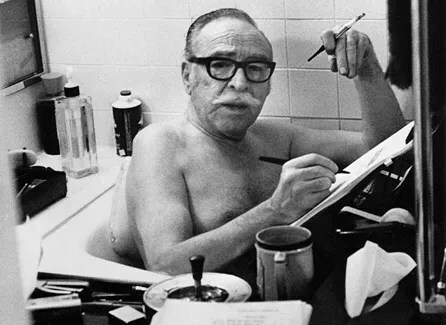 Unlike most celebrity biographies, the job appears easier due to the massive saved correspondence Trumbo amassed. Over 70% of the book’s prodigious 716 pages gives us Trumbo’s own voice as he recounts his thoughts on particular films, his refusal to testify to HUAC, and how he navigated the shadowy, although well-known, world of blackmarket screenwriting jobs. Christopher Trumbo died during the writing process as Ceplair’s introduction states. In a way, this book explores both Trumbo men, including how the entire family was affected by Trumbo’s decisions; this is a book about a family going through trying times…who just happened to be involved in Hollywood. Ceplair leaves no stone unturned for a book that’s comprehensive, if not a bit cold and academic in parts. Actually, considering Ceplair’s background, it isn’t surprising that the book feels like a textbook, and that will certainly gives readers pause once you factor in the page length. There are no parts that are outright boring, but Ceplair’s dealing with dense political rhetoric involving Socialism and Communism, so his work is already cut out for him in having to explain these ideals to an inexperienced audience. However, too often the discussions involving Trumbo’s conflicting and changing viewpoints throughout his life become cumbersome reading. When the authors focus on Trumbo’s career, his family, and how said ideals gave Trumbo and his family long-standing struggles to deal with, it is an incredibly engaging read. Trumbo’s years of fighting against HUAC are amazing to hear, particularly because it’s easy to say he refused to name names and went to jail when that’s far from the case. Ceplair establishes Trumbo as a potential “subversive” by the FBI years before HUAC formed, and his name remained on FBI watch lists long after he was released from prison. And, the most shocking thing, is all of this came about from his refusal to declare whether he was a Communist; not that he refused to name names, but he refused to declare his political beliefs in court. It’s almost laughable that this would be a punishable offense, let alone one requiring jailtime. The latest segments looking into Trumbo’s work of “breaking the blacklist” is also intriguing to read as it was certainly an uphill battle. Although requiring serious commitment, Dalton Trumbo: Blacklisted Hollywood Radical is a must-read for those wanting to hear more about a dark blot on Hollywood’s history. Since we’ll soon be seeing Trumbo’s life on the big screen, now’s the time to be in the know. 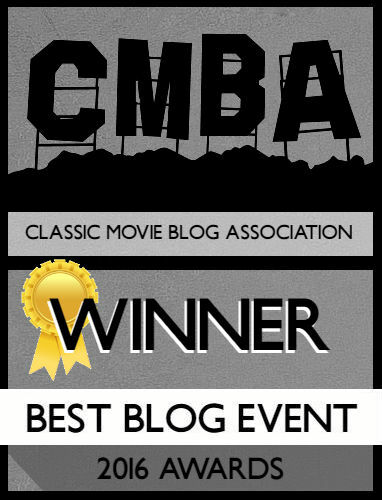 Hollywood Radical – Journeys in Classic Film <Loved it!